PB-6x: 7.2 volt 1600mAh rechargeable LONG LIFE Ni-MH battery for KENWOOD radios. 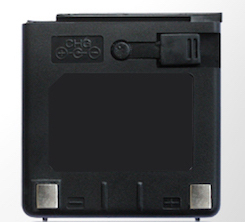 Replaces original battery packs such as PB-6, PB-7, PB-8, PB-9, PB-10, KNB-5, KNB-10. Fits KENWOOD radios TH-25, TH-25A, TH-25E, TH-26, TH-26A, TH-26E, TH-45, TH-45A, TH-45E, TH-46, TH-46A, TH-46E, TH-75, TH-75A, TH-75E, TH-77, TH-77A, TH-77E, TK-240, TK-340, etc (all worldwide versions). Provides extended operating time. Recharges with our plug-in charger (PB-6WC), OR with a desktop drop-in charger such as the KSC-14. The PB-6x is the same physical size as the factory original PB-6, PB-10, KNB-5, and KNB-10. Note: The old slide-on top charger will fit on these batteries, but the charge current is too low, and it will not effectively charge these 1600mAh packs. 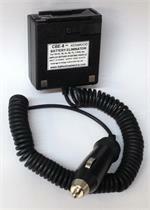 PB-6WC: Plug-in overnight Wall Charger for 7.2v PB-6 battery. Plugs into 110-120VAC outlet; other end plugs into the BATTERIES AMERICA brand PB-6x battery. Recharges battery in about 12 hours. 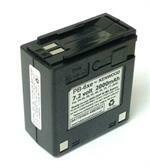 PB-8xt: 12 volt 2000mAh NiMH battery for KENWOOD TH-25, TH-26, TH-45, TH-46, TH-75, TH-7, TK240, TK340, etc. Battery is 4" tall. Arrives Pre-Charged & ready to use. Made with eneloop-style cells, which retain their charge when not in use.